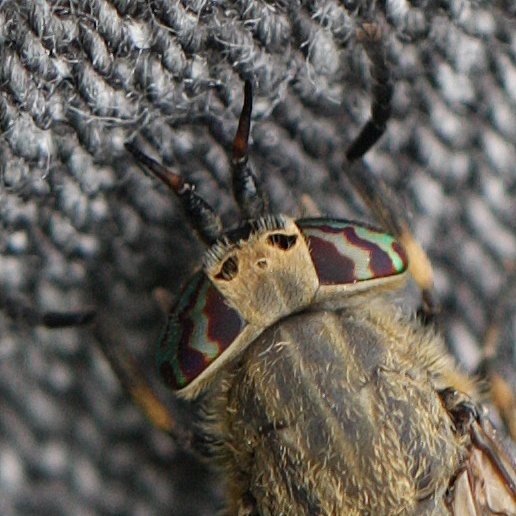 The eyes are hairy and the mottled wings are held 'rooflike' at rest, and the 1st antennal segment is notched near the tip in the female. 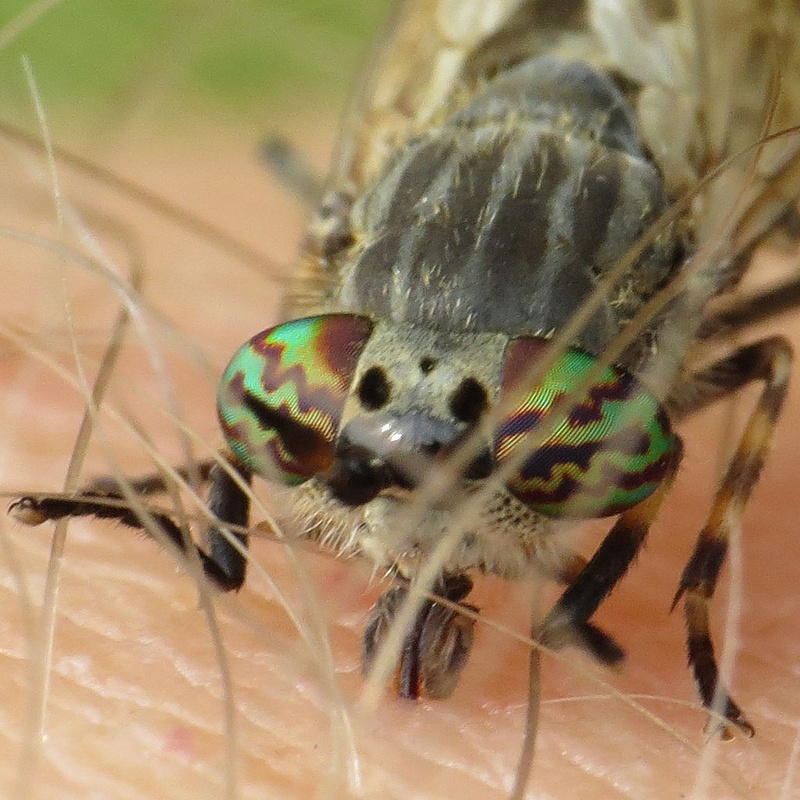 Like most flies in this family, the eyes reflect light in patterns. 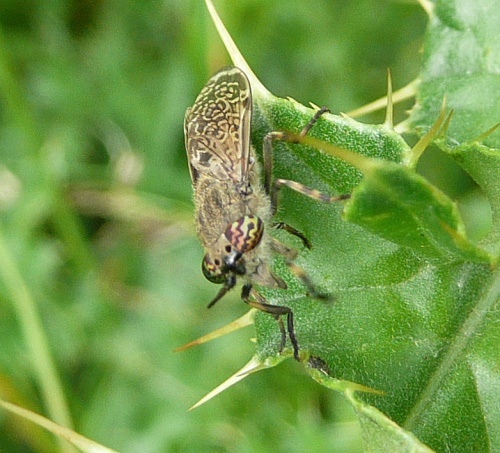 Haematopota crassicornis and H. pluvialis are very similar. 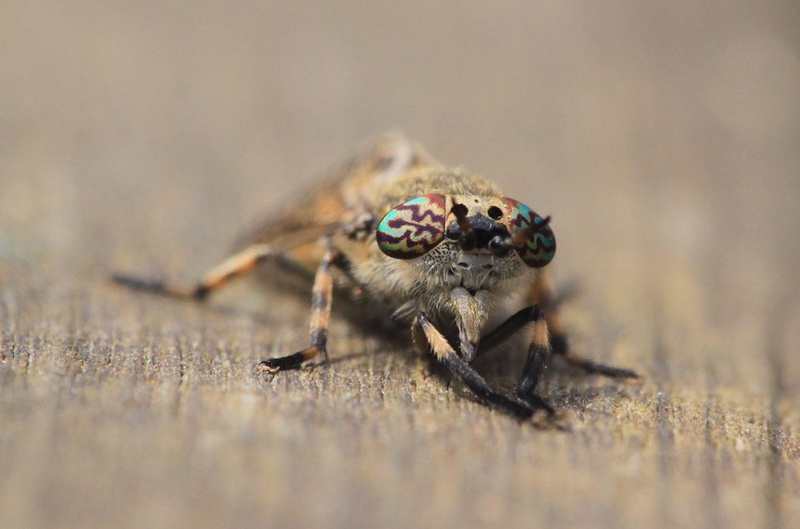 The males of both species have eye-bands that stop halfway up, while females of both species have eye-bands over the whole of the eyes. However males of pluvialis have an orange third antennal segment. H. pluvialis has brown mottled wings whilst those of H. crassicornis are generally grey. Around horses, cattle, etc, and often in damper or well wooded areas. 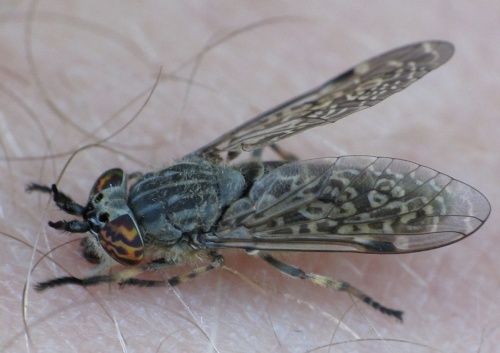 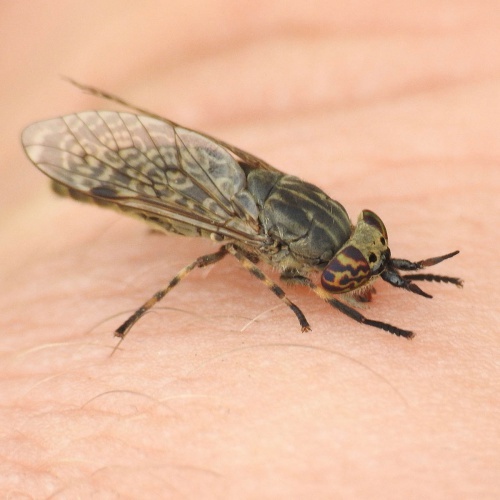 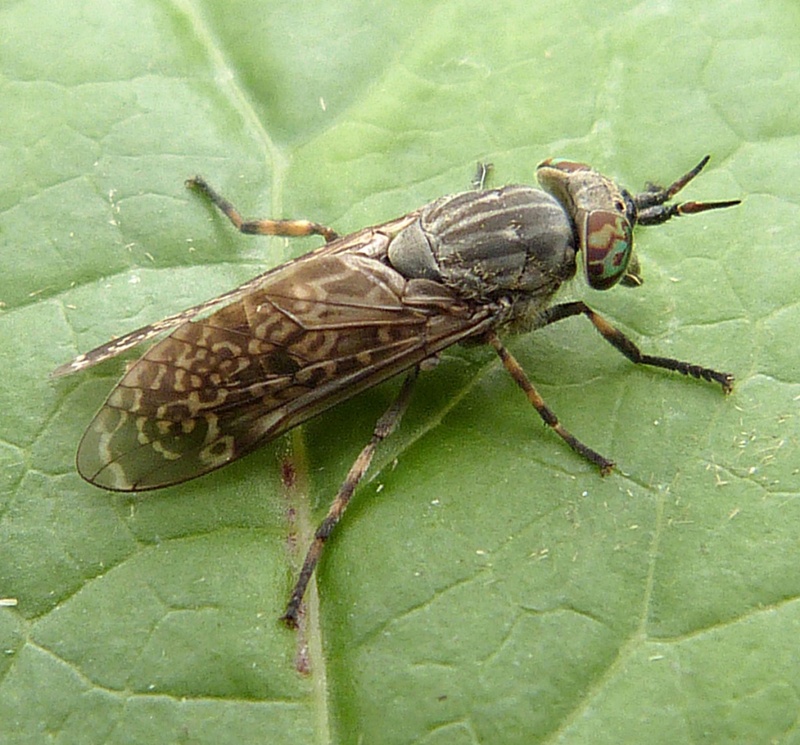 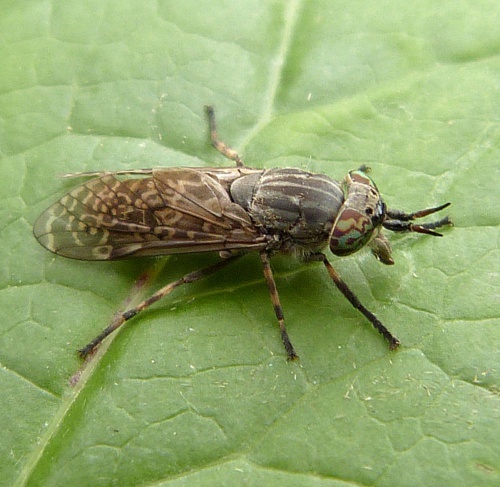 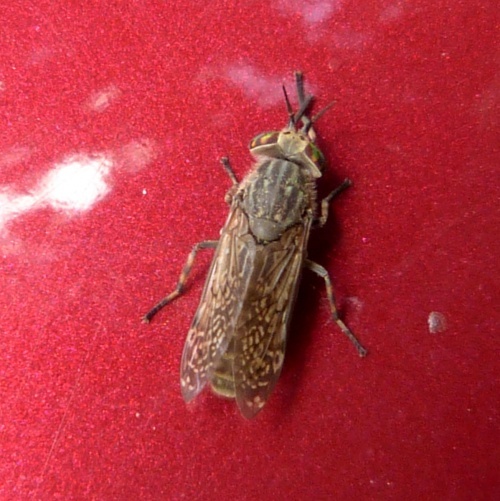 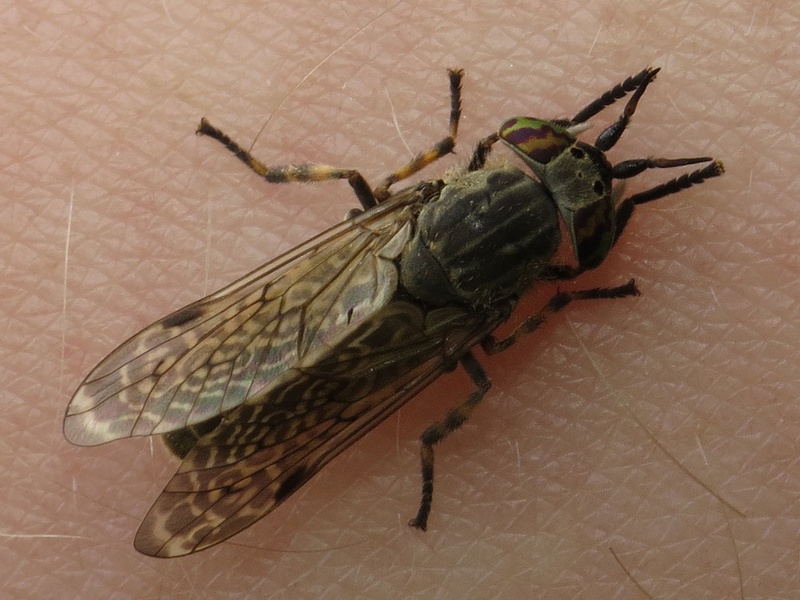 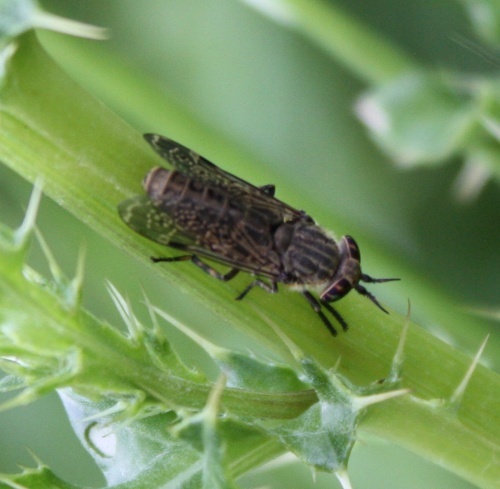 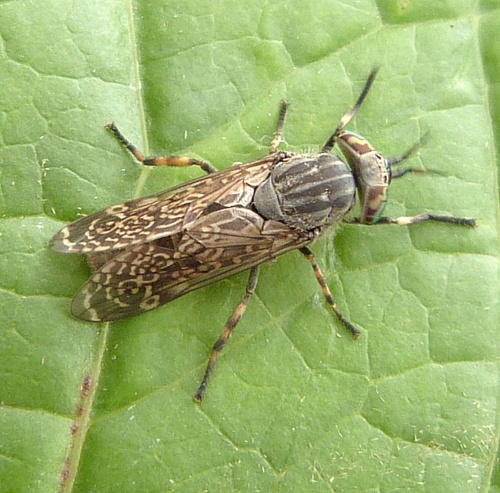 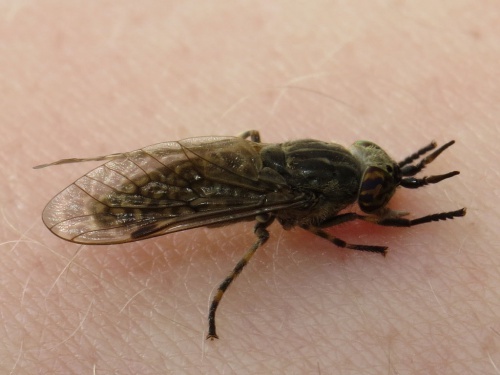 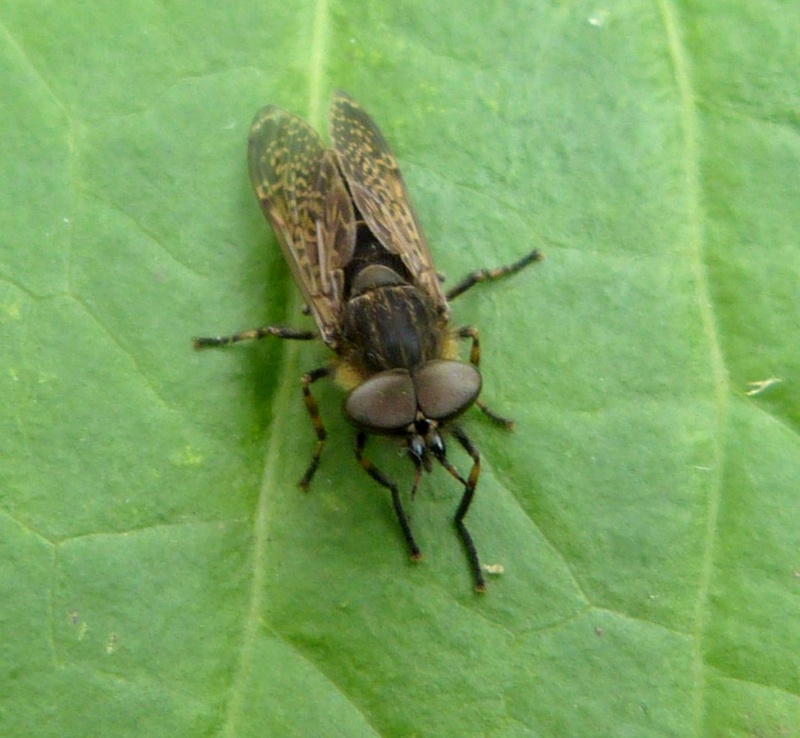 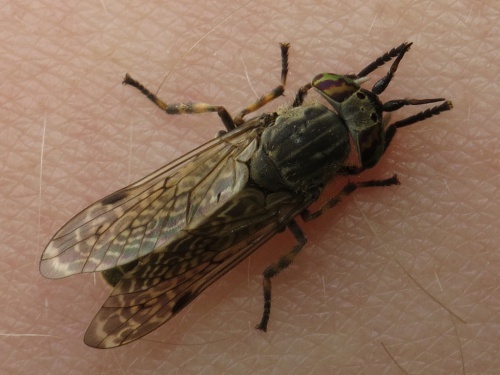 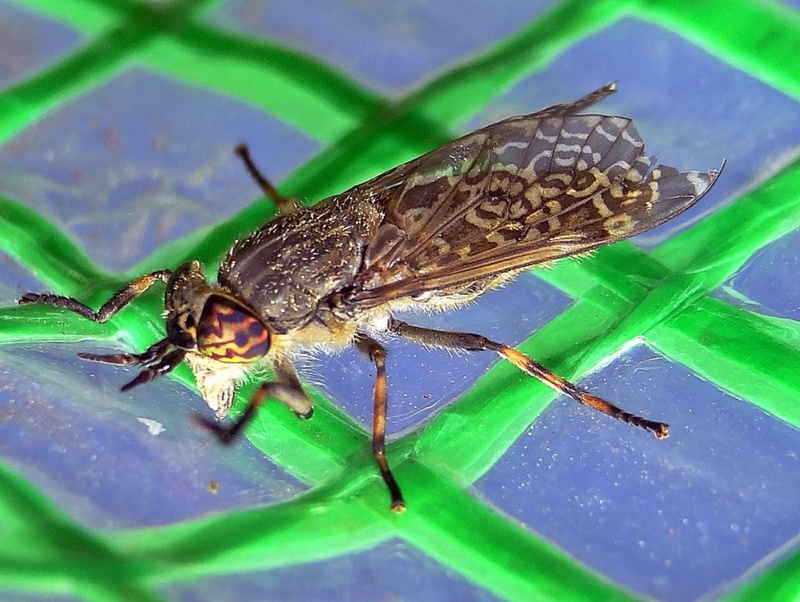 The female of this species of Horsefly is a blood-sucking insect which can give a painful bite. 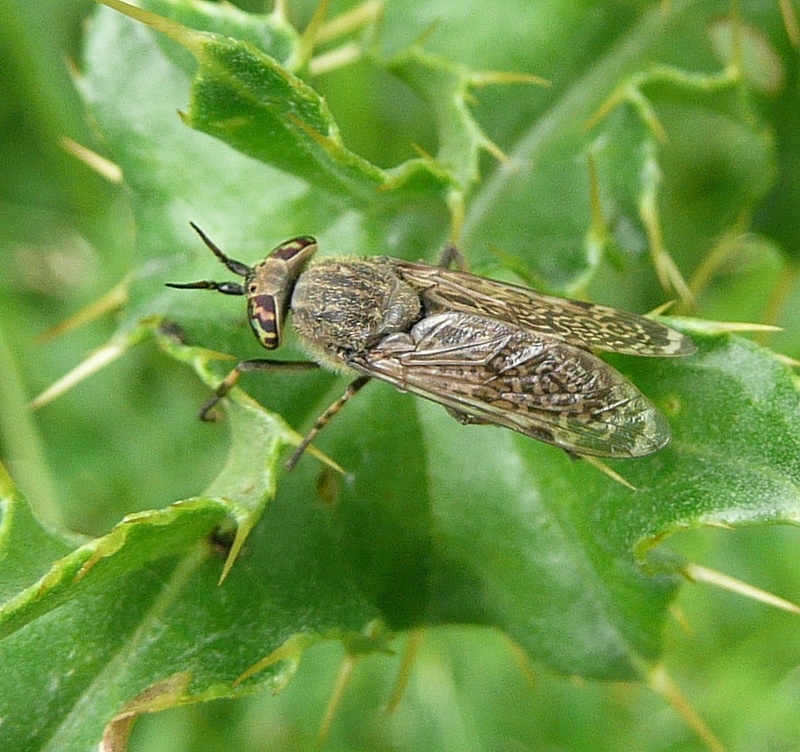 The male is harmless and feeds on nectar. 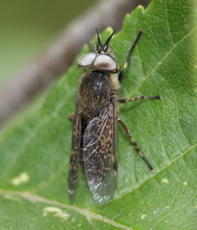 The larvae live in damp soil and rotten wood.